Drosera murfetii in the Hartz Mountains, Tas. Yesterday, 1 Apr. 2014, the second paper of Vol. 27 (2014) was published in the online edition of the Journal of the Adelaide Botanic Gardens. 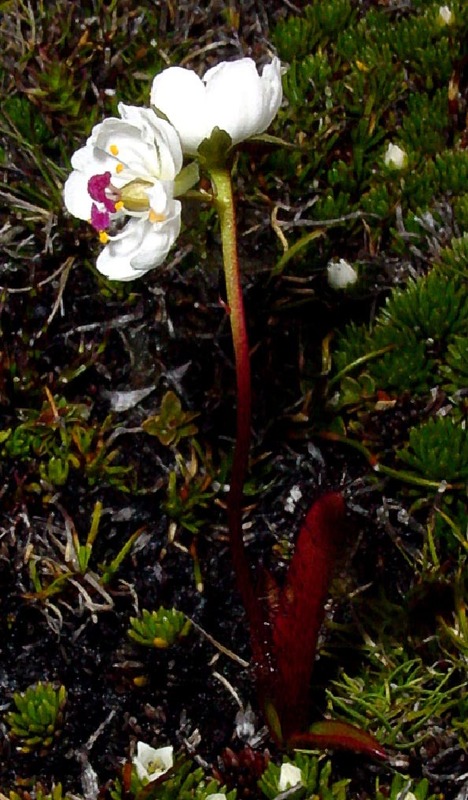 describes the “giant alpine sundew”, a new species of Drosera from southern Tasmania, related to Drosera arcturi. This entry was posted in Publications on 2 April, 2014 by Jürgen.